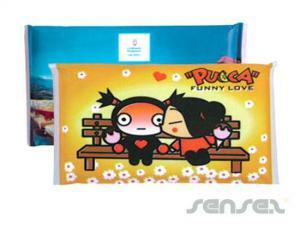 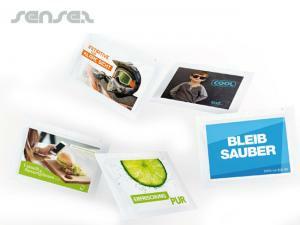 Nothing suitable in promotional printed tissues? 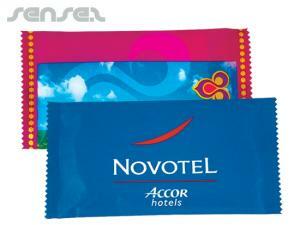 How about custom branded picnic & outdoor items, logo printed corporate tissues or one of our promotional travel accessories? 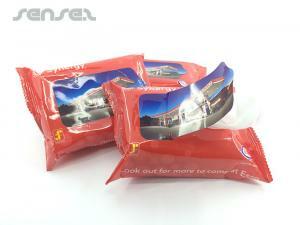 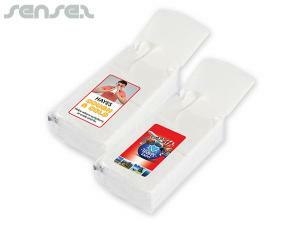 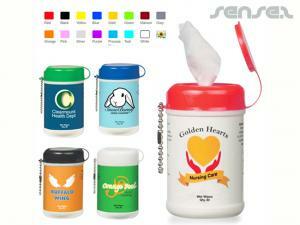 Promotional custom branded Tissues are perfect for pharmaceutical and medical related promotions. 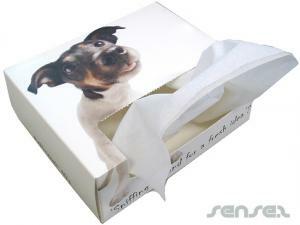 Custom printed tissues are cheap and make a practical promo gift that will be used. 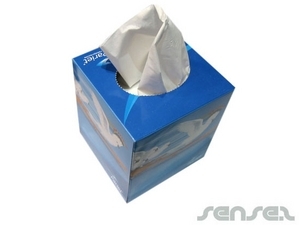 Promotional tissue boxes are great branding tools for waiting rooms, medical centers, doctor's offices, hospitals and anywhere sick people with colds are likely to go. 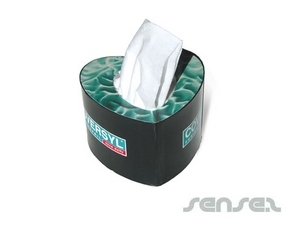 We have a huge innovative range of branded tissue packs, custom printed tissue boxes, cheap printed pocket tissue packs to suit any occasion. 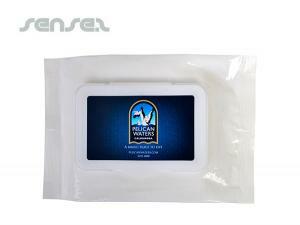 Our innovative advertising promo mini tissue packs are cute and compact, making them ideal for mailouts and promotional giveaways. 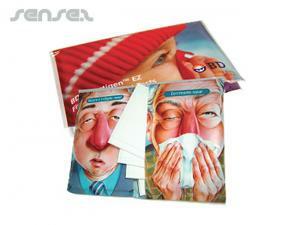 Blowing your nose never looked so good when you use one of our tissue merchandise. 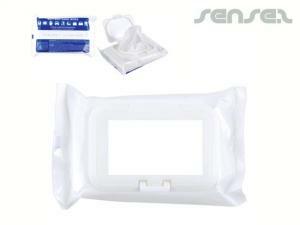 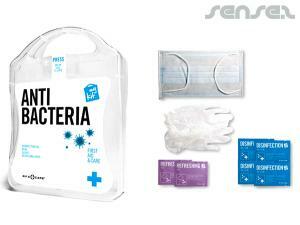 We also have branded antibacterial wipes available, to kill off germs as you use it. 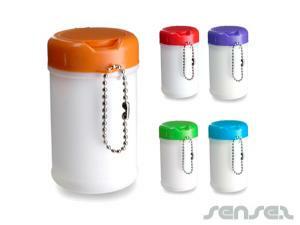 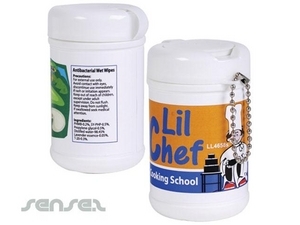 Great merchandising tool for parents with messy kids. 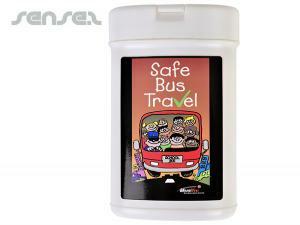 Perfect to keep in your handbag or in your car. 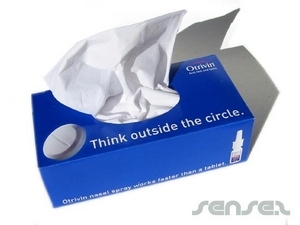 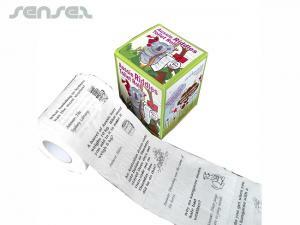 Or be creative with our customized innovative marketing tissue boxes. 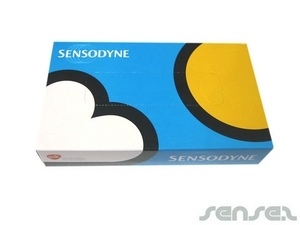 Create any shaped box to suit your innovative promotional needs - also available with the option of printing on the tissue sheets too!